In the crowded Southern California haunted attraction industry, many haunts come and go from year to year. Besides the old stand-bys of the big theme park events (like Halloween Horror Nights and Knott’s Scary Farm), there’s really only one other name that’s synonymous with Halloween in SoCal : Sinister Pointe. They’ve earned their well-deserved reputation for haunts that are not only very innovative and original, but also truly scary. 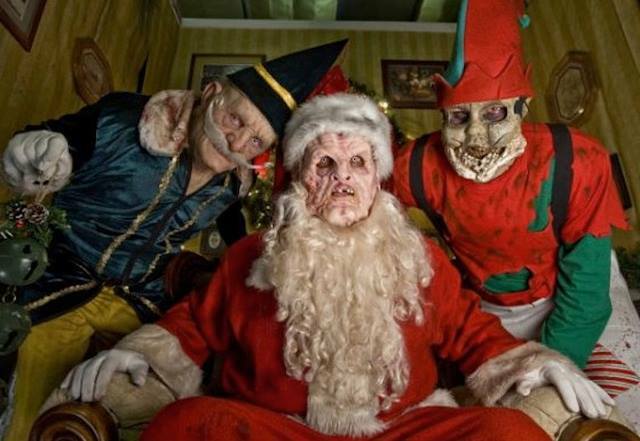 They’ve also boldly carried out completely new concepts in the haunt space, such as “Dark Markets,” Christmas-themed events, horror-themed parties, spirit lounges, and even a seance show that we loved. Unfortunately, things seemed a little bumpy for Sinister Pointe over the past couple of years. In 2016, we were disappointed with their Halloween event, which felt put together at the last minute, and we didn’t feel it was up to their own (admittedly high) standards. With no walk-through attraction in 2017, we worried about their future. 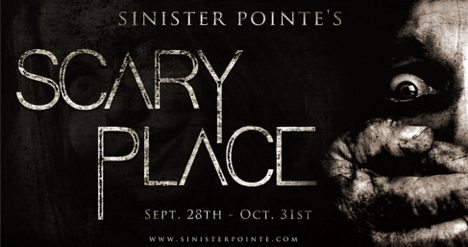 So when news surfaced this year that they’d be back, and bigger than ever, we put Sinister Pointe’s Scary Place at the top of our most-anticipated haunts list. For 2018, Sinister Pointe has taken over three levels in an abandoned Macy’s in the Laguna Hills Mall. The event includes three haunted attractions (two walk-through mazes and one dark ride) as well as two scare zones. There are also vendors selling a wide range of horror-themed products, plus food trucks. This interactive maze takes victims through representations of common fears and phobias. Each room is a stand-alone scene of a specific fear, and includes things such as dentist’s office, crematory, a room full of exposed wires, and clowns. To get through the scene, your group will have to face their fears and push buttons, sit in the dentist chair, crawl through an oven, and so on. Our group was split up during this maze and we ended up going through alone during the second half, although this didn’t seem to be the case for everyone. Overall, this maze harkens back to Sinister Pointe’s previous attractions, such as SAW and Fear, but we felt that the scares were milder in comparison. Overall, this was a fun maze with a few good surprises and some really good actors. A solid return of Sinister Pointe’s trademark interactivity. This maze tells the story of a creepy hotel. It started with us being led through the storage room, where we boarded a freight elevator helmed by a demented bellhop, who warned us about the evils on the hotel’s second floor. This was a great use of Macy’s actual freight lift, which was actually creepy enough that it didn’t even need extra lights or music to set the sinister tone. Upon exiting the elevator, we made our way through an abandoned hotel dining room and then through the halls of the evil hotel itself. The sets here were well designed, and we truly felt like we were snaking our way through hotel hallways and rooms. This maze used a good combination of static props and actors, and the effective lighting was distracting enough that it was sometimes hard to tell whether an actor was real or a prop. However, after a while, the scenes became a bit repetitive. The monotony was broken up by a security guard scene and a “behind the walls” path that made things interesting. Overall, though, we felt that a bit more variety in the maze would’ve livened things up a bit. Boogeyman Express is where Sinister Pointe gets truly interesting this year. Once again shattering expectations of what can be done in a haunt, SP has devised a completely unique haunted attraction they bill as a “dark ride.” The entire ride is hidden on the third floor, and you won’t have any idea what to expect before you actually board the vehicle. This ride takes groups of 4 in a mine car, which is pulled behind a small golf cart-like vehicle. A tour guide takes you through a small town that has been overtaken by an evil presence. The scenes are highly varied, ranging from an old mansion, to a church, to a mine shaft, but the backstory is well crafted and the settings flow together. There are some good scares in here, and the mine car moves along at a good speed (sometimes even surprisingly fast!). We were actually blown away by the fact that this ride achieved a truly spooky feeling on the third floor of a department store. Boogeyman Express was the true standout of the night, and the long lines reflected that. If you purchase general admission, you will need to obtain a timed ticket for this attraction and be prepared for a long wait. But it’s definitely worth it, and this attraction is not to be missed. In addition to the mazes and dark ride, Scary Place also includes some really cool vendors and games, including a mini escape room (only $1!). A stage near the back of the space showcases live bands and magic shows. There are also plenty of free photo ops (including a free photo station). Two scare zones are fun to wander through while taking photos and videos. Roaming scareactors entertain the crowds and pose for photos. Sinister Pointe has done a great job creating an atmosphere that makes you want to hang out. We attended on a Saturday night, and although the lines for the mazes were somewhat long (but not crazy), the overall space itself was large enough that it didn’t feel crowded at all. It had a great laid-back, fun vibe. 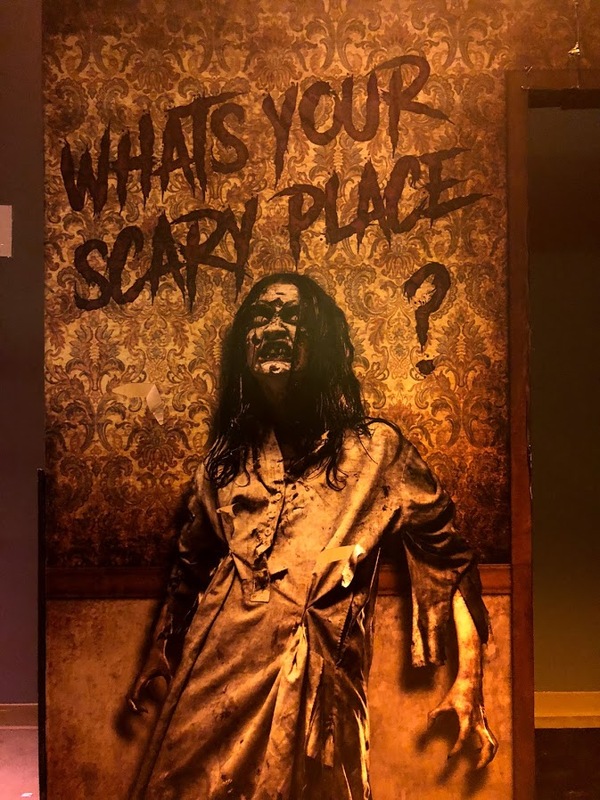 We can’t help but compare Scary Place with HorrorWorld, which is also located in a mall and includes multiple attractions and vendors. While we loved HorrorWorld’s Into the Black attraction, we think Scary Place has the edge in being the event we wanted to spend more time at. 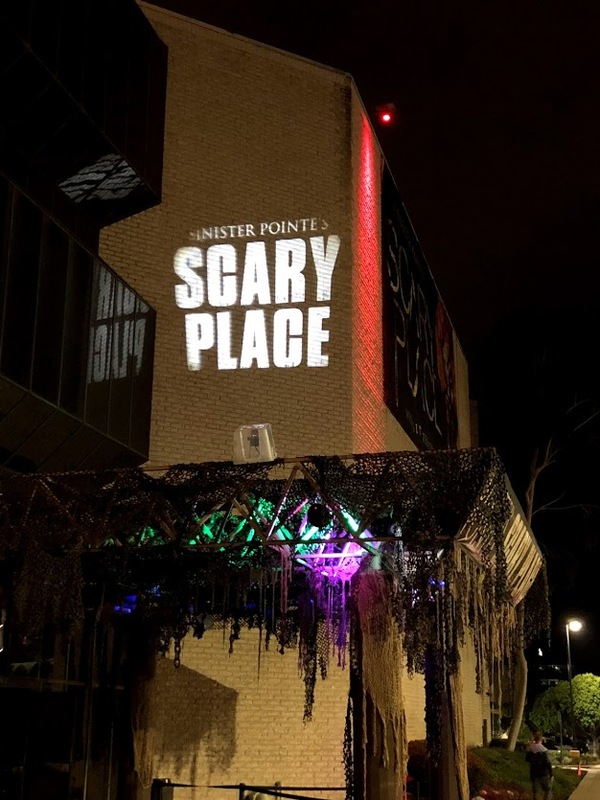 We definitely recommend a visit to Sinister Pointe’s Scary Place this year. We recommend purchasing the all-night VIP pass if possible. You’ll definitely want to go through the mazes and dark ride more than once. It will also help you avoid the long line for Boogeyman Express. 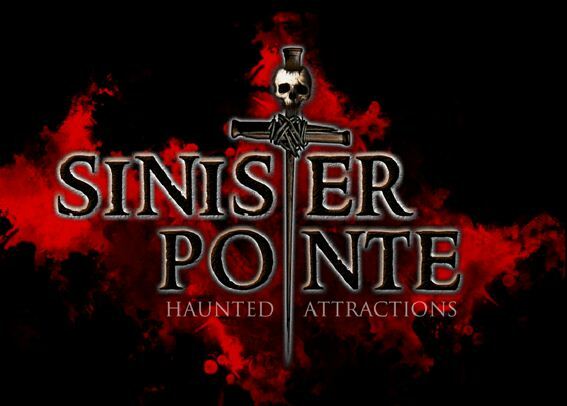 Sinister Pointe’s Scary Place is open Thursdays through Sundays as well as October 31. Tickets are now on sale. Be sure to check Groupon for daily deals. 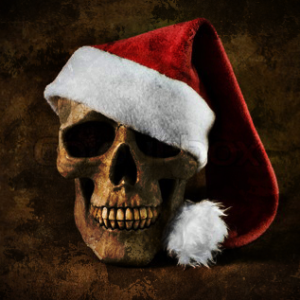 Sinister Pointe is spreading a little Christmas Fear to all you horror fiends with our 4th-ish annual “NOT So Merry Holiday Haunt”. Sinister Pointe will revamp their current Halloween attraction to bring you a brand new “Choose your own adventure style”, interactive, Rude, Crude, comical and terrifying XMAS nightmare! Which includes plenty of inappropriate behavior, language and insults. If you are easily offended then this specific holiday event is NOT for you. This Event is NOT for children! This attraction breaks off at various points to give the guests a “Choose your own path” type of experience. Guests can experience all that the NOT so Merry attraction has to offer by venturing through the attraction 2 times as opposed to the 4 separate paths offered during our Halloween Event. This attraction is slightly longer than the Halloween experience and contains more INTERACTIVE elements. Please buy your tickets NOW to avoid missing out on this special Christmas gone bad event. During its prime, Sinister Pointe ranked near the very top of our annual haunt ratings list. 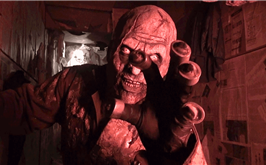 With themes ranging from Saw to Silent Hill, and an elaborate haunted house with annual Xmas and Valentine’s Day haunts, this was one of the premier haunted attractions in Southern California. The mazes were superbly designed with movie-quality sets, interactive elements, and suspenseful scares that had us screaming to go back year after year. In addition, the talented team behind Sinister Pointe were also the masterminds behind the creation of Queen Mary’s Dark Harbor and one of our favorite haunts at the Winchester Mystery House Fright Nights. So after they left their permanent location in 2014, we anxiously anticipated their return in 2016. Earlier this year, Sinister Pointe had a Seance event that we found to be fun. With a few tweaks, it could have been a pretty epic experience. With that said, it seems that public opinion was that the Seance event was a waste of time and money. Making good on their commitment to customer satisfaction, Sinister Pointe sent out special invitations to all the Seance attendees, welcoming us all back as VIP guests to experience their new 2016 haunted maze. We couldn’t wait to finally return to Sinister Pointe and see the next level of terror and fun they promoted. The maze is themed as a dark journey through a decrepit world where victims must choose different paths to get through four demonic dimensions. Unfortunately, the description is the most exciting part. The maze we went through (3 times) is mainly constructed from black painted plywood walls and hanging sheets. There were hardly any props and limited effects. There actually was one section of the maze where we got stuck with other guests because we thought that the path through a curtain was taking us out of the maze and behind the scenes. It looked like an emergency exit. However, an actor told us to keep going and called us idiots for not knowing that was the correct path. We’re sorry, but when going through a maze, we’re not used to going behind the walls and walking over light cords, fans, past stacked chairs, and behind the audio speakers. We couldn’t believe it was part of the maze. We all did feel like idiots for taking the time and paying to go through this maze. We went through three times and didn’t find any of the paths to be significantly different. Every time we went through, none of the other people in the maze seemed to be impressed either. 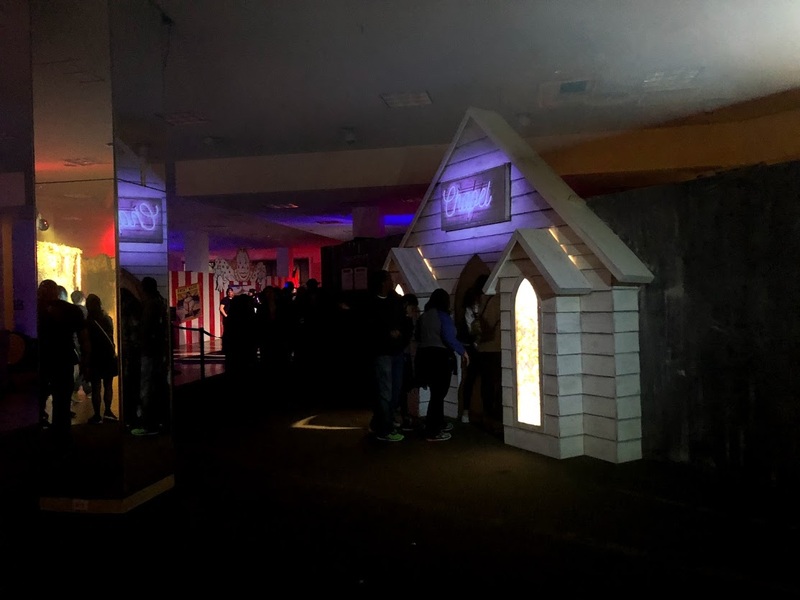 It was really disappointing to realize that Sinister Pointe has regressed into being nothing more than an overpriced junior high school haunted house. We think that this was the first time that a haunt has left us feeling depressed, as it had very little redeeming qualities about it. What seems to have gone wrong is that the overall set design and talent has fallen far below the quality that Sinister Pointe has spoiled us with before. We give credit to a few scareactors who were giving it their all, but the rest seemed just as lost in the maze as we did. We understand that the haunt business is a tough one and requires haunters to make a big investment to produce a quality maze. Given their tenure and established name in the industry, we expected that Sinister Pointe would have both the creativity and resources to produce another high-end experience. Alas, all we got was a cleverly marketed but ill-conceived haunted house experience. Our hope is that this year was just a fluke and due to circumstances beyond their control, they weren’t able to produce the haunt they had initially intended to make. However, we can’t make excuses here, and since they’re taking people’s money, we can’t in good conscience give them a good review. Sad to say that this a a first-class haunt that has gone all the way back to coach. Sinisterly Pointless, indeed. It’s almost the weekend, so that means it’s time to preview a couple more haunted attractions! This weekend, Scare Zone is headed out to Orange County to experience a few of the excellent stand-alone haunts the region has to offer. Of course, the top of our list includes Sinister Pointe, one of the best and most highly rated attractions in all of California. Sinister Pointe has opened a portal between our world and the next. Upon multiple experimentations, we have discovered four separate dimensions within this dark and vast oblivion. Enter this world cautiously for the BRANDER lurks beyond the walls. If you are caught in his grasp, you WILL BE MARKED. Once marked, there is no escape! Your path through this dark and decrepit world has been chosen for you. Stray from your chosen path and you will be banished from the world we know for eternity. We got a small taste of the new maze at Midsummer Scream this year, and we were impressed with some of the dark, demonic imagery. 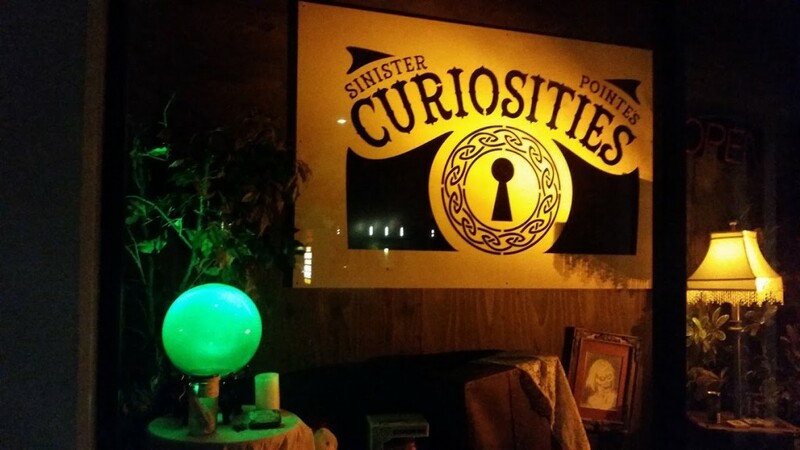 Sinister Pointe Haunted Attraction contains interactive elements that may include contact with Ouija boards, tarot cards, crawling, total darkness, tight spaces, and possible moments of being alone. If you want to be able to experience all paths of the maze, SP is offering an “all-night” ticket so that you can go through the maze over and over. We’ll also be checking out 17th Door and Motel 6 Feet Under, so be sure to follow us on Twitter for live updates and photos/videos! Sinister Pointe’s “Curiosities” shop is a small space in a small strip mall in Brea, and we drove right by it on the way to experience their latest event, “Séance.” But although the footprint of the shop is small, the inside is huge on character and filled with fascinating objects and interesting merchandise. And behind the secret door inside the shop was a special space set up for the séance. When we arrived, we milled about the shop looking at the various trinkets and eyeing our fellow séance participants. We wondered what exactly was about to happen to us in the next hour. The Sinister Pointe website was purposely vague regarding event details, and the result was that we couldn’t really determine whether this was going to be played up as a “real” paranormal experience or whether there would be actors jumping out at us from behind the curtains. But since this was Sinister Pointe, after all, we didn’t think we’d be able to escape without being terrified in some way. 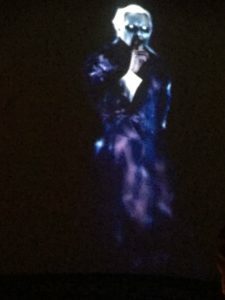 A creepy looking guy wearing a top hat and cape, and ominously carrying a black rose, chatted us up as we waited for the “show” to begin. He definitely played up the “it’s real” angle, letting us know that we were about to meet a real medium, who would not actually guarantee that anything would happen tonight. He asked us about our own paranormal experiences in the past, which got us into a good mind-set for the evening. Finally, it was time for us to enter into the séance room. WARNING: From here on out, there may be mild spoilers. A secret door behind some shelving opened up, and the cape-wearing host purposely split the groups apart and took us two-by-two into the back room. As we entered, we passed underneath some burning sage. 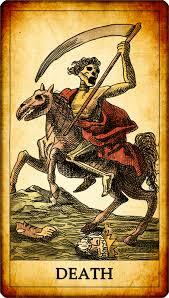 He asked us to breathe it in as a sort of “protection” against evil. In the room was a large, circular table with exactly 13 chairs. Each seat at the table had its own occult symbol carved into the wooden table surface (for example, an ankh, a pentagram, the star of Solomon, etc.). LED candles were scattered about. Temporary walls created a small, intimate space, and the room was decorated to look like the inside of an old house, complete with wallpaper, windows and curtains, pictures on the walls, shelves with various trinkets and items, old books strewn about the floor, and a creepy looking doll sitting on a chair. We eyed that doll suspiciously. We waited a few minutes before the medium appeared. He was a friendly-looking guy with a beard, and he introduced himself. He then went around the table and asked us to recount any previous paranormal experiences we might have had. This was a bit awkward but interesting. He then had us join hands, and he began his first attempt to contact some spirits. Unfortunately, it failed, and nothing happened. Now we were wondering whether this really was some cheesy paranormal ghost-hunting gathering that wasn’t going to amount to much. Next, our medium tried a few “experiments.” They involved opening a box with some old circus tickets and relating the story of a circus that burned down in the 1940s. Without going into detail, the “experiment” turned into a relatively obvious kind of magic trick that involved switching out some papers. After this followed distribution of some tarot cards, a story about the medium’s grandfather, and an “experiment” with old playing cards. Again, this was a card trick that resulted in an audience member creepily choosing three “6” cards (i.e., 666)—and oh no, did we just summon the devil to our séance?! Things finally got interesting when the fake tree in the corner started shaking. Finally, we thought, here come some effects. Things happened quickly from there. Concerned for our safety, our medium had us grab hands, and he attempted to tell this evil spirit to leave us alone. Various objects in the room were thrown about. Yes, they were thrown. When they tell you at the beginning to keep your feet on the floor and make sure your chair is as close to the table as possible, make sure you listen! Or you could find yourself in the path of shattering glass or chairs being hurled across the room. 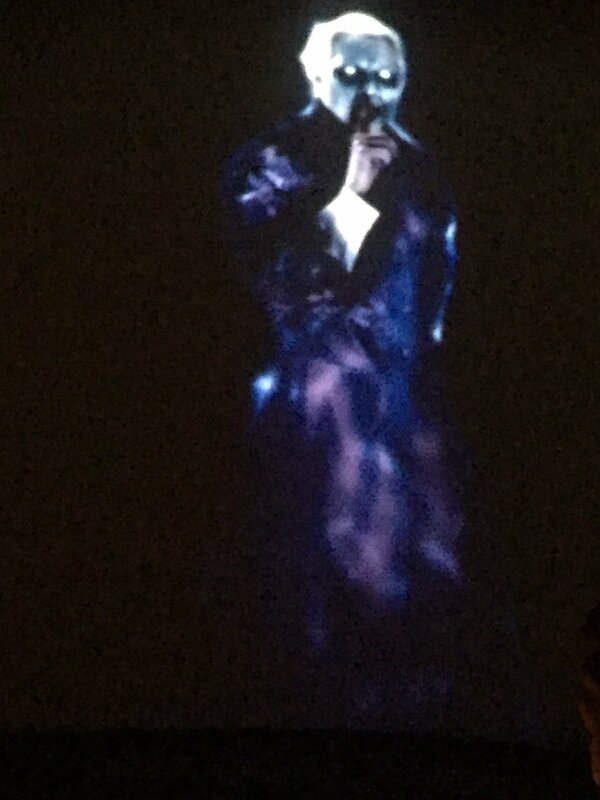 The lights went out, and our demon spirit began speaking to us. This was incredibly creepy and tense. After the intensity of some of the effects that happened with the lights on, we were pretty freaked out about what might happen in the dark. There were a couple of, let’s say, “fourth-dimensional” effects to experience, and then, fortunately for us, our medium was successful in driving the spirit away. The lights came back on. Because the website was vague regarding details, we were genuinely surprised with the direction of the event, and that was a good thing. Without knowing what to experience, our expectations were somewhat low. We think this was helpful because, overall, the event was fun and creepy but somewhat unsatisfying. The beginning was a bit slow, and if you’re not a paranormal “believer,” you may find some of the spiritual rhetoric hokey and laughable. The “magic tricks” were somewhat interesting but pretty transparent. There is a back story about the spirit who eventually assaults us during the séance, but honestly, it was a bit hard to understand. We found the climax of the event to be extremely scary and intense, but for all the build up, it could’ve used a bigger payoff. When the lights came back on, everyone remained seated until someone finally asked, “Is it over?” We feel that almost everyone was genuinely expecting something more. Maybe just that one final “scare” to take it over the edge. However, we do note that we attended the standard version of the show; the midnight version promised to be more “extreme,” so perhaps we should have stayed up late for that experience. The séance set itself was lovely and well made. As veteran haunt goers, we were, of course, scanning the room for what the “effects” would be, but they were extremely well hidden. The medium played his part very well. 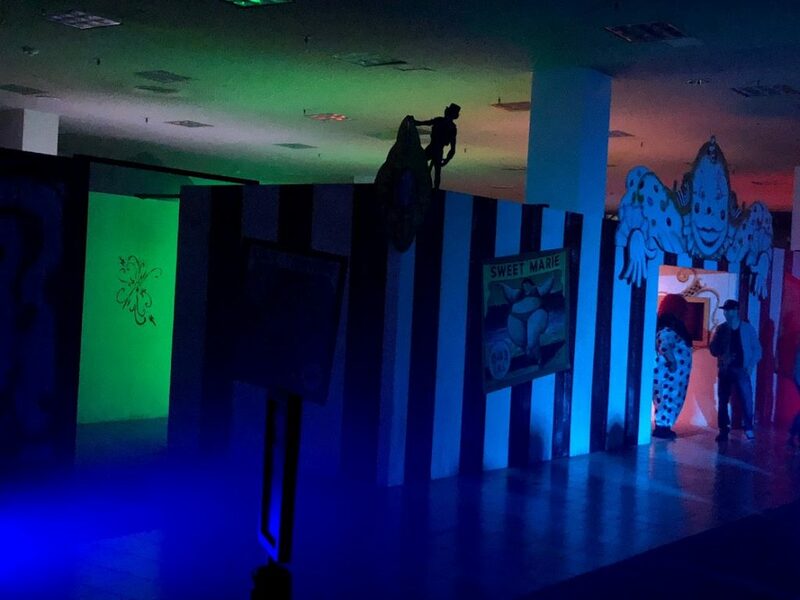 And for an event in a confined, single-room space where all guests remain seated, the variety of experiences, the build up to the climax, and the scare factor were pulled off very well. Every guest was part of the story and experienced some kind of interaction. Overall, Sinister Pointe’s Séance was creepy, scary, and most of all, fun. With a few tweaks, it could have been a pretty epic experience. We are very impressed with what they accomplished in the back room of their small shop, and we can’t wait for the next event. For the past 3 years Sinister Pointe has presented Southern California Haunt Stalkers with year-round haunted mazes and events. Although the maze was not open all year, they did open it for several special events/holidays (e.g., Christmas). 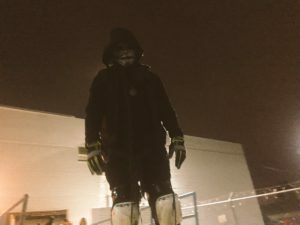 This was great for us Haunt Stalkers needing an off-season fix, but one of the challenges for the Sinister Pointe team was keeping the maze fresh to continuously thrill repeat Haunt Stalkers during the main season–Halloween. 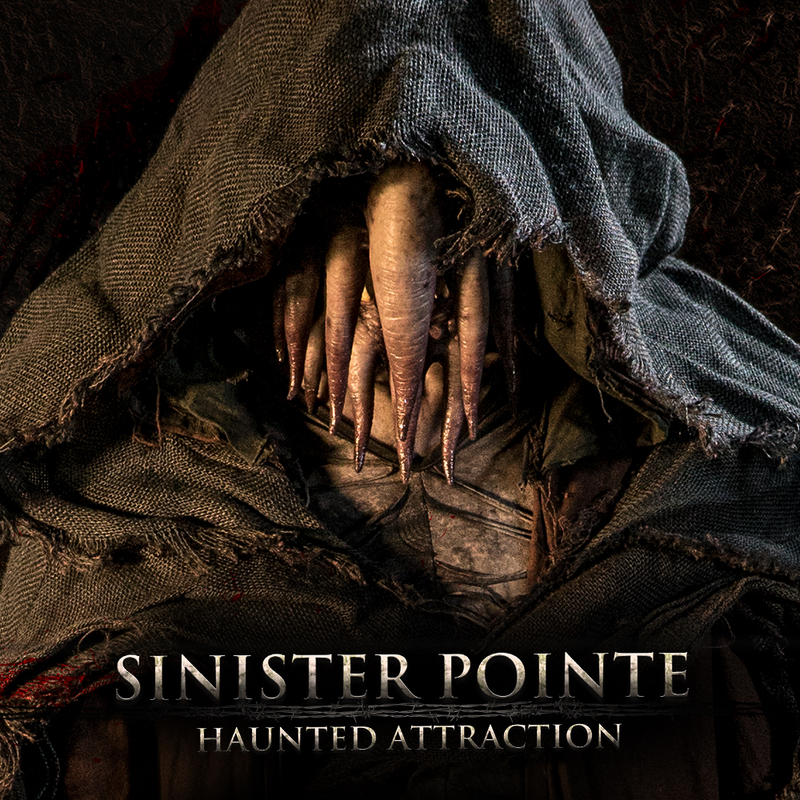 Now with their upcoming move to new location for the 2014 Haunt season (just down the street), Sinister Pointe will finally be offering an all new haunt experience! The full details have yet to be released but from their Facebook teasers we believe that a highly interactive experience is on the way as they’re bringing the urban legend of Bloody Mary to life. She won’t just be trapped inside of a mirror either as it appears we’ll have venture through the looking glass ourselves, entering her dark world to face all of our known and unknown fears to get back to the other side. We’ll keep you posted as more details are released! We all remember the story of Bloody Mary as a child. From Sinister Pointe Productions comes a brand new twist on a classic urban legend. 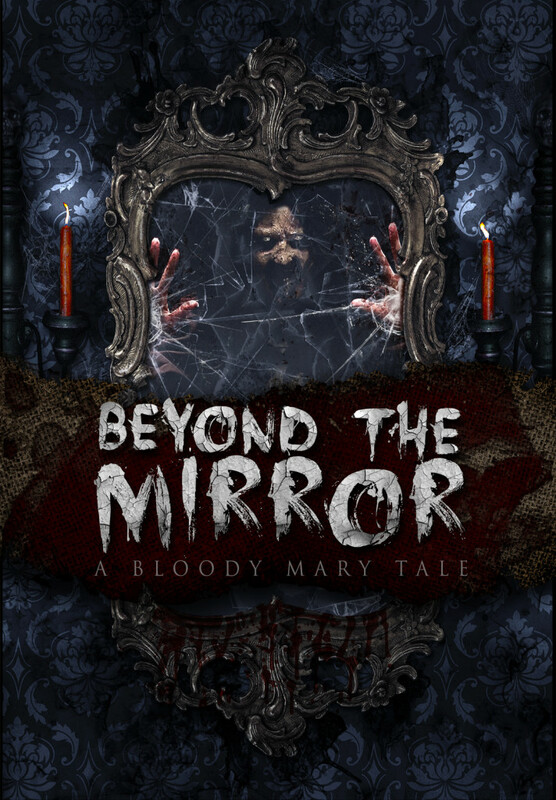 highly interactive journey through the blackened world which Bloody Mary dwells. What lurks on the other side? 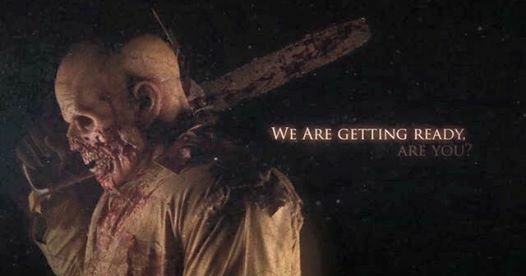 As we’ve reported, our evil friends at Sinister Pointe have recently evacuated their current haunting site and will be moving the creeps and bodies to another location (for whoever is the new resident we hope the spirits have left too). To help fans pacify the time to haunt season and mourn the former location they’ll be hosting yet another event, a swinging wake actually. We love that these guys keep the haunt community connected throughout the year. So, check out the planned Scaretivites for Saturday, May 17th. Join us for a night filled with drinking, dancing and a few Terrifying surprises. Come pay your respects and say your goodbyes to the hillbilly family and our current location that we have grown to love over the past 3 years. Raise your glass as Sinister Pointe prepares to move on to a brand new facility with an entirely new themed attraction for the 2014 Halloween season. Please dress to IMPRESS…..I mean MOURN! Since this is a WAKE, darker colors are preferred. No Halloween costumes, flip flops, ball caps, shorts, baggy jeans, etc. will be permitted. Enjoy great company, music, dancing, the Sinister Pointe Gallery, Photo Op area, roaming creatures and more. We are sorry but the attraction itself will NOT be open. This event will SELL OUT fast! This is an 18 and over event. ** Also, check their Facebook Page as they’re holding trivia games to win free tickets! The haunt activity is finally beginning to pick back up as we’re now at the halfway point to haunt season 2014. In the coming weeks we’ll be sharing more news and rumors from the major and local haunts as they begin to slowly reveal their plans to terrorize us for another year with ghoulish delight. Until the gates begin to creak back open at your favorite domains of terror, you can go back and revisit some of the top haunts in Southern California in an all new video The Halloween Experience: Volume 1. One of our favorite Haunt Stalkers, Phil Crain, was cool enough to share a copy of the DVD with us. It was just what the sadistic doctor ordered as we were able to experience the fun and scares of haunts in the comfort of our living room. The series is hosted by ‘Bloody Jenny’ who introduces the featured Southern California favorites; Sinister Pointe, Reign Of Terror, Chambers of The Mausoleum, The Backwoods Maze, The Haunted Hotel, and Fears Gate. Unlike the haunt countdown shows on Travel Channel, in this series you won’t have to take a POV journey through a maze behind a group of annoying screaming girls. Instead, the video provides a solitary first person POV of the mazes, operating in full show mode. It’s just the viewer and the scareactors. It’s like going through your favorite mazes by yourself. While it may not have the full production value of a Travel Channel series, it actually provides the most authentic and raw haunt walk throughs available. We recommend that any true haunt fans and stalkers check it out (which should be all of you reading this post) and we can’t wait to see them make more volumes… 2-13. 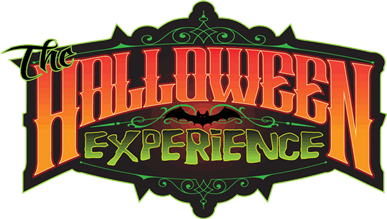 Copies are available on Amazon and The Halloween Experience Website for only $13. Sinister Pointe recently announced they would be leaving their current permanent location in Brea, California, and will be moving to a new address for the 2014 haunt season. But fans of SP shouldn’t be worried, as we think this will be a great thing for the haunt and will inject new life into its attraction. SP has actually promised “a brand new haunted attraction in 2014.” Although they’ve always added new “elements” to their current attraction each year at their current location, it hasn’t been quite enough to justify repeated visits for haunt stalkers who live far away or are looking for entirely new experiences with each haunt season. We know what the Sinister Pointe team is capable of, and we can’t wait to see something all new from them in 2014. There are no details yet on the new location, but SP promises it will be close by and maybe within even a few blocks of the current spot. Stay tuned for more details. But in the meantime, SP will be presenting the final event in their current location, “Lore Masquerade,” on April 25 and 26, 2014. Join us for two evenings filled with a variety of unique entertainment, creative arts, imagination, music and dance to celebrate the closure of this amazing chapter for Sinister Pointe. A portion of the ticket sales will contribute to the development of the long-awaited “Spirit Lounge” a haunt-themed bar in progress from the SP folks. For tickets and more information, check out the website.